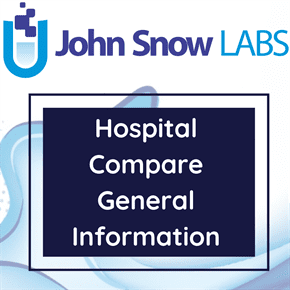 This dataset provides a list of hospitals that include medical centers in the USA with detailed geolocation identifiers, such as latitude and longitude of each hospital. The information about the location of hospitals was obtained by geocoding of addresses and then was corrected using satellite images. It includes only hospital facilities and does not include nursing homes. The dataset represents the location of hospitals for 50 states and Washington D.C., Puerto Rico and US territories. The Homeland Infrastructure Foundation-Level Data (HIF-LD) provides National foundation-level geospatial data within the open public domain that can be useful to support community preparedness, resiliency, research, and more. This dataset represents locations of Hospitals for 50 states and Washington D.C., Puerto Rico and US territories by geographic latitude and longitude. It includes also other specific information such as address, telephone number, type of care provided and the number of beds available. The dataset only includes hospital facilities and does not include nursing homes. Data for all the states was acquired from respective states departments or their open source websites and then geocoded and converted into a spatial database. After geocoding the exact spatial location of each point was moved to rooftops wherever possible and points which have been physically verified have been labelled “Geocode”, “Imagery”, “Imagery with other” and “Unverified” depending on the methodology used to move the points.